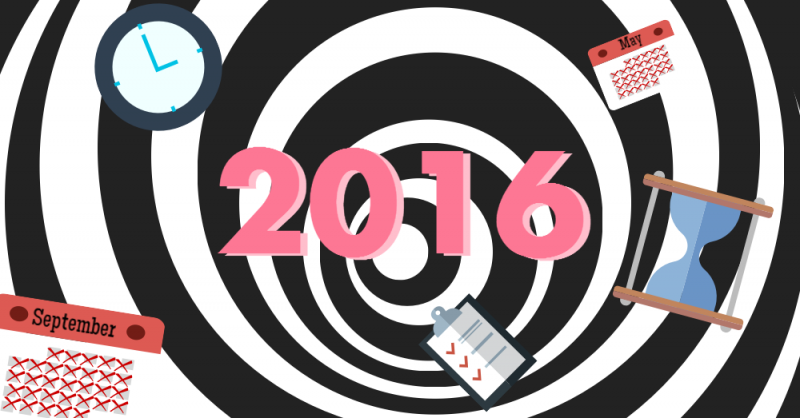 Another year has flown by and we find ourselves in the penultimate month of 2016. With Christmas around the corner and New Year on its way, we often leave the reflection of the year’s highs and lows till the last days of December. However, with several weeks still left on the calendar, we think now is the time to take look back at your year and ask how many of your goals have you achieved. Because there is still time to tick off a few more of the major goals or targets. With a pile of work waiting, a list of unmet resolutions, not to mention the Christmas staff party to organise, this may sound like crazy talk. But there is method in the madness, in fact, there is even a mathematical equation that can help you make the most of your final months. John Little’s theorem, known as Little’s Law, tells us that the overall lead time of a process is equal to the amount of work in progress divided by the average time it takes to complete each piece of work. This simple but effective formula is a tried and tested way of highlighting that the more we try to multitask, the less we actually achieve. So, while you won’t be able to achieve every task you have challenged yourself with this year, you will achieve much more this month if you take on only a few priority tasks instead of attempting to complete them all. Imagine you have 10 main tasks at work still to complete before you take time off for the festive period. This leaves you around 30 working days to complete all of these tasks. 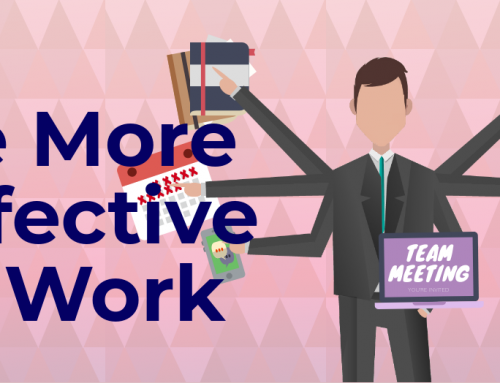 For the majority of workers, when faced with such tight time constraints, we turn to multitasking. And in such situations, this certainly sounds like the most sensible solution – surely if you work a little on each task when and where possible, then at least some of the tasks will get done in the time available. But as we know, Little’s Law tells us otherwise. The stop, start and change over time incurred when multitasking makes it an inefficient approach that incurs unnecessary additional time. Alternatively, the tried and tested theorem tells us that if we reduce the number of goals on our list, we can achieve more in the same amount of time! 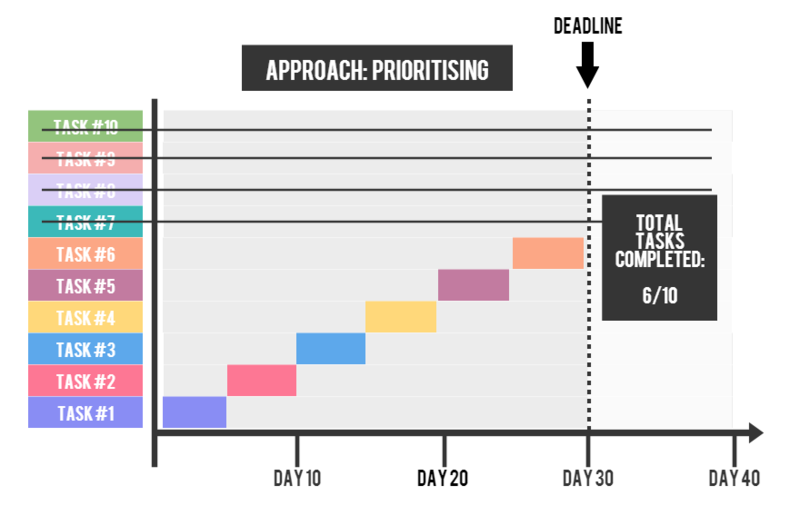 Take a look at what happens when we prioritise the tasks and tackle them one-by-one. 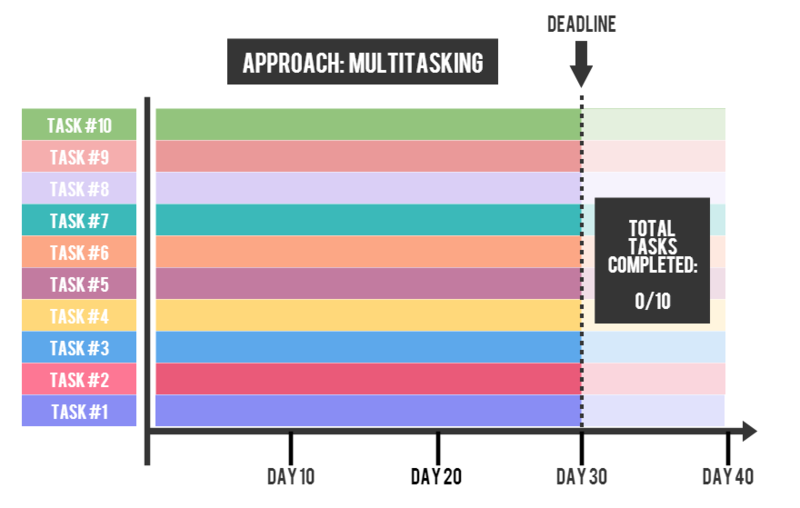 As you can see, by breaking down the task list and focusing on each respectively, you can achieve much more in the thirty days than if you were to attempt to tackle all ten tasks. In short, you can achieve more by doing less! 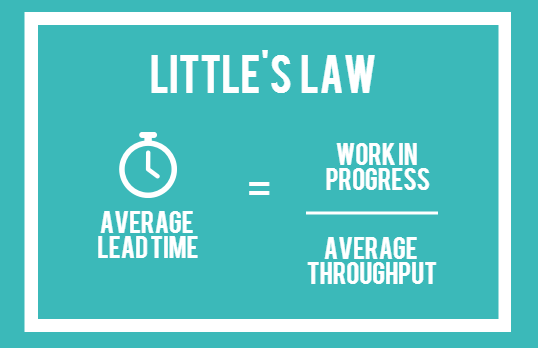 The message of Little’s Law is clear: Prioritise your tasks to reduce your workload, and you will achieve more. So, instead of staring at the mountain of unachieved tasks, take the time to whittle it down to the few you really want to accomplish by the end of the year. Whether it is the small Business Improvement you wanted to make in your workplace, the training you just haven’t had time for or even the cookery classes you promised yourself you would take, there is still time. If broadening your skill set and developing your career was on your to-do list this year, why not take one of our many short online courses? 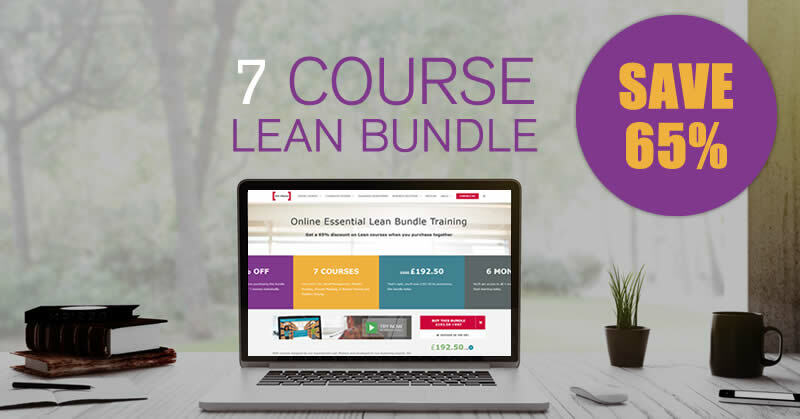 From Lean Problem Solving training to our Little’s Law course, you can enter 2017 armed and ready make it your most successful year yet.